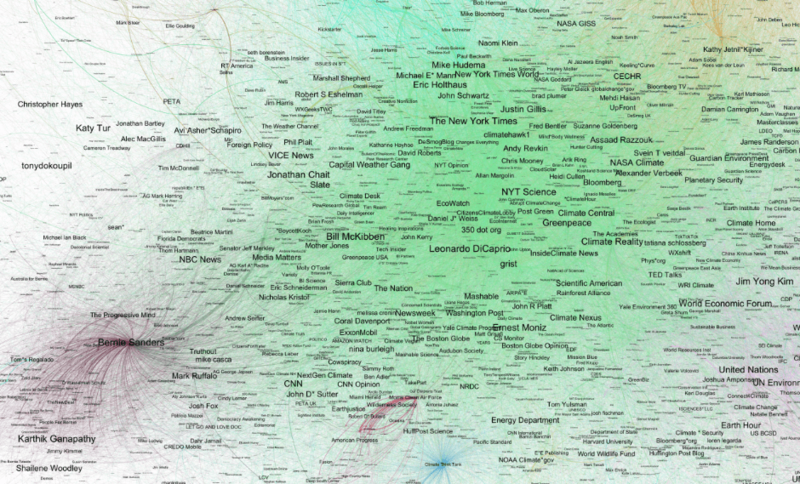 Looking at the other side of the Twitter heat map, the vast majority of people pushing the climate scam are politicians, actors and journalists – not scientists. Thank you, Steven, for having the talents and the courage to confront “junk science” disguised as “consensus scientific evidence” in support of tyrannical government policies! The most convincing Politicians/Actors/ Journalists are the last ones we suspect -Ronald Reagan, Bill Clinton, Walter Cronkite, etc. While the advent of the global warming controversy may have been founded on some honest, but perhaps much too narrow and misguided scientific interpretations, the “cause” was quickly co-opted by politicians and their elite group of compliant scientific camp followers, As a result, rather than policy being based on reasonably explored and confirmed independent scientific theories, allowable theories are now driven strictly by policy. Scientific debate is no longer possible because it has been shut down by politicians who now even threaten civil and criminal prosecution of those who dare to contradict their “science”. We have retrograded back into the dark ages. There’s no real scientists pushing the climate scam – indeed its almost a definition of a real scientist that they would not push the scam. I hope you have seen this on WUWT.. This “peer reviewed study” from Duke University as shown on this recent post at WUWT highlights the fact that the researchers are partisan. The whole premise is how to frame the argument to get Republicans who are skeptics to accept “Climate Change” as a viable threat. It is all about political partisanship from the beginning to the end. A commenter on Tony’s new blog noticed that Bill Nye is not on the map. He’s also busy being on TV talk shows as an expert on snow storms, life after death, football inflation, Christianity, Nobel prizes, patriotism, national security and evolution. And he’s thinking about getting a PhD in applied physics or fluid mechanics but that’s a seven- or eight-year commitment and he’s busy. I’m sure some far left “alternative” university could sell him one, save him the bother of actually learning something. There is a lot of money in both the televangelism and looters-with-guns industries, and most people believe whatever they are paid to believe. But to find a large gaggle of morons incapable of differentiating a constant–much less defining energy–it makes more sense to search among presstitutes than ex-scientists.